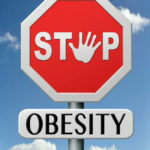 What Are The Causes Of Obesity And How To Prevent It? Rejection from friends, partners, losing business opportunities, and dangerous health consequences are just some of the problems obese people face. There are many different causes of obesity – it can be related to some medical conditions or to food addiction. No matter what the cause is, obesity is a serious problem and it can be very dangerous for your health if you don’t treat it. You can calculate your body mass index by dividing your weight in kilograms (kg) by your height in meters (m) squared. It is advisable to go to your doctor or healthcare provider if you think you may be obese or have weight-related health problems. That way you can discuss the possible weight loss options and estimate your health risks. * The body mass index (BMI) or Quetelet index is a value derived from the mass (weight) and height of an individual. The BMI is defined as the body mass divided by the square of the body height and is universally expressed in units of kg/m2, resulting from mass in kilograms and height in meters. The most common cause of obesity is overeating, but in a small percentage of people, excess weight gain is a symptom of another disease. Medical causes of obesity can include hypothyroidism, depression and Cushing’s syndrome. 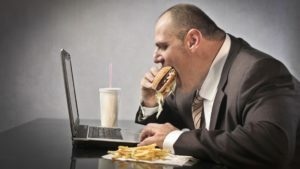 Different health problems can cause obesity, but a large number of people become obese because when they are nervous and stressed they seek consolation in food. Many stressed people eat uncontrollably. When you have emotional problems, for example, you seek comfort in sweets because sugar acts as a drug to your brain. Similarly, coffee disrupts your stomach balance. If you think that you’ll skip a meal by drinking coffee on an empty stomach, you are wrong. You should always eat first thing in the morning, and drink coffee after breakfast. Furthermore, you should know that your stomach has a biological clock – time when it gets food, digests and rests. 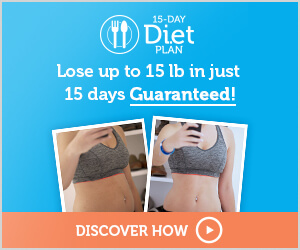 So try to eat every meal every day at similar hours in order to avoid storing fat caused by irregular stomach work. 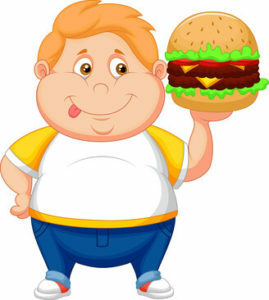 The rising number of obese children is the result of improper diet. Day by day, children’s diet gets only worse. They eat fast, unhealthy food, and sweets. They don’t eat vegetables and fruit. One of the main reasons for obesity in children are sodas, which children love to drink. They are full of sugars and they lead to storing fat in the body. Also, they can cause hypertension and high cholesterol. In addition, children do less sport and exercise than before and they spend more time in front of their computers. They lack activity and that’s the main issue. So, reduce time in front of the TV and computer to less than two hours a day. Try to make them do chores or play outside, or any physical activity. Every excess of food is transformed into fat by your liver. Excess fat is no good in your bloodstream. It oxidizes and it becomes poison. Smokers are especially threatened because nicotine slows down your metabolic fat, so the organism has difficulties to get rid of the oxidized fat. Overwhelmed pancreas and liver lead to diabetes. 2 pounds of fat on average have 2.5 miles of blood vessels, and the already burdened heart needs to make further efforts to pump the additional 2.5 miles. Joints are also additionally burdened which results in damaging the spine, hips, and knees. On the other hand, there is another problem which is rarely discussed, and that’s the psychological problem caused by obesity. We live in a narcissistic culture where we are not allowed to be less than ideal and perfect. So obesity doesn’t have an impact on our appearance only, but on our mental state as well. People with obesity find it hard to live with themselves. They suffer from food addiction. And that is the biggest problem. You can live without alcohol or drug, but you can’t live without food. Even when people with obesity try to change their lifestyle they don’t get enough support from the society. Other consequences of obesity are loneliness and isolation. Being insecure because of their appearance people with obesity isolate themselves and have little contact with other people. Healthy, low-fat food rich in fibers, consumed at the same time every day is the best way to stay healthy and to prevent obesity. And of course, exercising or just walking is essential for a happy and a healthy life. Also, drink a glass of water before every meal. Drinking water before meals can burn up to 300-500 calories. You need to be willing to lose weight and to avoid turning your overweight into obesity. Set goals. 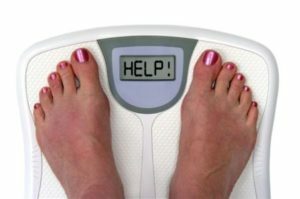 Weigh yourself every day and note down how many pounds you have lost. Set one goal per month and try to accomplish that. 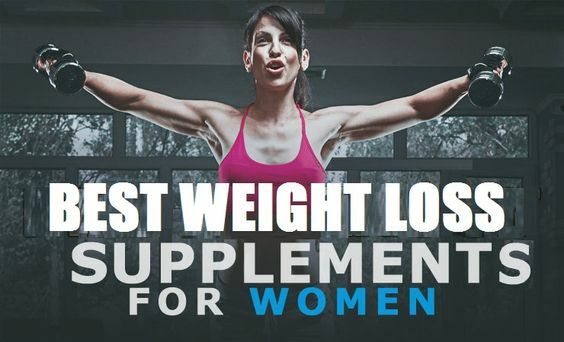 Also, try as many diets as necessary to find the one suitable for you.